Jack Taylor's only hope of redemption - his surrogate son, Cody - is lying in hospital in a coma. His old friend from the Guards, tells him that a boy has been crucified in Galway city, and he agrees to help her search for the killer. Jack's investigations take him to many of his old haunts where he encounters ghosts, dead and living. Cross (kros/ noun, verb, & adjective) means an ancient instrument of torture, or, in a very bad humour, or, a punch thrown across an opponent's punch. Jack Taylor brings death and pain to everyone he loves. His only hope of redemption - his surrogate son, Cody - is lying in hospital in a coma. At least he still has Ridge, his old friend from the Guards, though theirs is an unorthodox relationship. 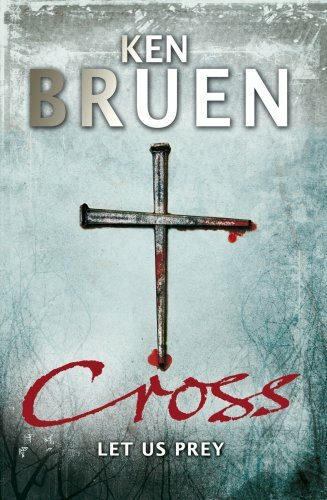 When she tells him that a boy has been crucified in Galway city, he agrees to help her search for the killer. Jack's investigations take him to many of his old haunts where he encounters ghosts, dead and living. Everyone wants something from him, but Jack is not sure he has anything left to give. Maybe he should sell up, pocket his Euros and get the hell out of Galway like everyone else seems to be doing. Then the sister of the murdered boy is burned to death, and Jack decides he must hunt down the killer, if only to administer his own brand of rough justice.